On Saturday 14 April, her excellency, the honourable Kerry Sanderson AC, Governor of Western Australia and Chief Scout, launched a new badge for the Scout movement in Western Australia. The launch was facilitated by the Belmont SES unit and was live streamed on facebook. In attendance were over 150 scouts of all levels, families, friends, SES Volunteers and a number of dignitaries including the Scouts WA Chief Commissioner Barbara de la Hunty, FES Deputy Commissioner Lloyd Bailey AFSM, SES Volunteers Association President Gordon Hall ESM, and Terry Healy MLA. 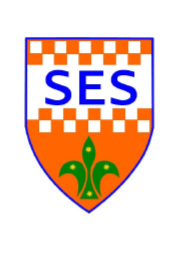 The purpose of the badge is to give scouts, of all different levels, an introduction and awareness of the SES and their role in the community. They will be able to tell others about this and in the future, they could become involved in an emergency service. The main instigator in bringing this initiative together was assistant Scout Leader, Hampton Park Group, Sarah Hamilton. Sarah is also an SES Volunteer at the Belmont SES unit. Sarah worked with many people including members of the Belmont SES, Scouts, DFES and the SESVA. It is hoped that this will be recognised nationally and other states and territories will follow this WA initiative.